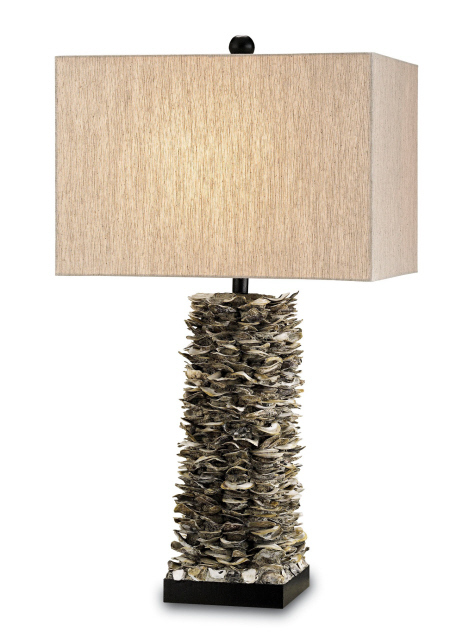 Villamare Table Lamp is a gorgeous designer-quality piece made of stacks of natural shells and measures 30" tall. This is an organic piece that will invoke visions of sand and surf. The shade is Oatmeal Linen and mesures 17 x17x 11.5. 3-way switch with maximum 150 Wattage. Stunning!